Russia is getting ready for its biggest war games since the Cold War — are they worried about NATO? Browse: Home / Russia is getting ready for its biggest war games since the Cold War — are they worried about NATO? 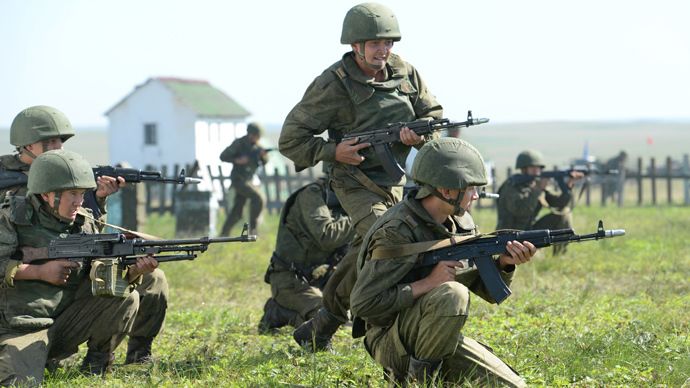 Russia is gearing up for a massive military exercise in its far east in mid-September. China and Mongolia will also take part. The war games come amid rising tension between Russia and the West, which are both eyeing each other’s militaries warily. 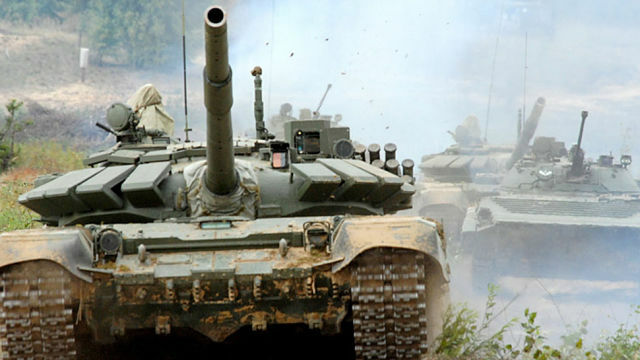 The Russian military is getting ready for what is said to be an “unprecedented” military exercise, but as thousands of men and machines gather in Russia’s east, leaders in Moscow may be increasingly concerned about what’s going on in the West. Earlier this month, Defense Minister Sergei Shoigu called the upcoming Vostok-2018, or East-2018, exercises “the largest preparatory action for the armed forces since Zapad-81,” referring to a Soviet military exercise in 1981 involving about 100,000 to 150,000 troops, according to a CIA estimate at the time. Shoigu said on Tuesday that the Vostok-2018 exercise, scheduled for September 11 to September 15, will have some similarities to Zapad-81 but involve vastly more personnel. “In some ways, they resemble the Zapad-81 drills but in other ways they are, perhaps, even larger,” Shoigu said, according to Russian state-owned media outlet Tass. The Russian military has already begun evaluating its forces’ combat readiness and logistical support with “snap inspections” that involve special drills and are done under the orders of Russian President Vladimir Putin. Russia has invited military attaches from NATO countries to observe the upcoming exercises — an offer that a NATO spokesman told Reuters was under consideration. Russian forces will not be the only ones taking part this time around. Chinese and Mongolian units will also take part, with Beijing reportedly sending more than 3,000 troops, 30 helicopters, and more than 900 pieces of other military hardware. Chinese participation in Russian military exercises “speaks about the expansion of interaction of the two allies in all the spheres,” Kremlin spokesman Dmitry Peskov said on Tuesday, according to Tass. Peskov was asked if the expense of the Vostok-18 exercise was necessary at a time when Russia’s economy is struggling and demands for more social spending are rising. Russia has consistently condemned Western military activity and NATO maneuvers as provocative, but Peskov’s reply may hint at a growing unease in Moscow, which is still uncertain about President Donald Trump as it watches the defense alliance deploy an array of units to its eastern flank. Trump has signaled a conciliatory stance toward Russia and hostility toward NATO, but those attitudes haven’t translated significantly into US or NATO policy. “We don’t like the picture we are seeing,” Vladimir Frolov, an independent political analyst in Moscow, told Defense News. NATO members have been boosting their defense spending and working to build military readiness — moves stoked recently by the combination of uncertainty about Trump and concern about assertive Russian action, like the incursion in Ukraine in 2014. NATO troops, including US forces, are practicing tactics that have been little used since the Cold War. A number of former Soviet republics have embraced the West. NATO units have forward deployed to the alliance’s eastern flank, and Poland has even offered to pay to host a permanent US military presence. Some European countries are also debating augmenting their own militaries and defense sectors. Germany, long averse to a large military footprint, is looking to recruit more troops, and some there have restarted debate about whether Berlin should seek its own nuclear-weapons capability. Moscow has long used confrontation with the West to bolster its domestic political standing, and many leaders in the West have come to identify Russia as a main geopolitical foe — a dynamic that is likely to perpetuate tensions.